Poland is very popular among travelers from Europe, especially those from Germany and United Kingdom. The most common destinations are Wroclaw and Cracow, but there are a lot more cities worth to be visited. 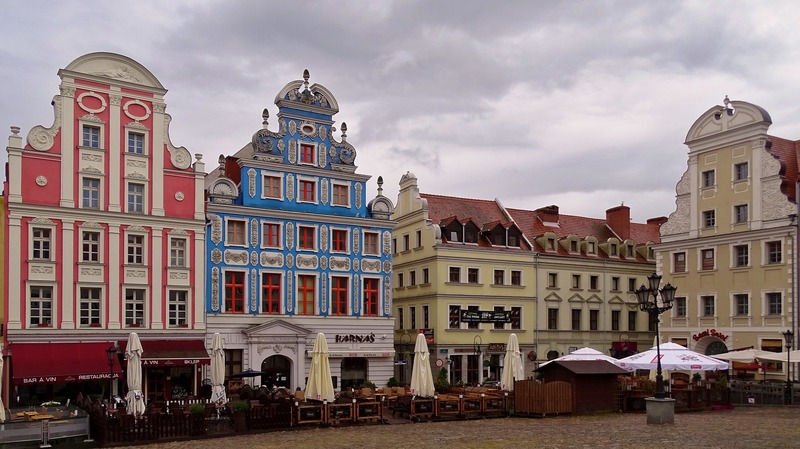 One of those is Szczecin, beautiful town situated in the northern-west part of Poland. This city used to be part of German country, that is why it architecture is very rich full. Your sightseeing you should start from Pomeranian Castle, former residency of local royals. It was founded in medieval times, but it was reconstructed during next, few centuries. Unfortunately, during the world war two it was destroyed, but nowadays it looks almost the same as before the war. Even if Szczecin isn’t located close to the seashore, there used to be a big port in there. Good reminiscence of this period is Harbor’s Gate, amazing, eclectic tower, founded in the nineteenth century. Another good piece of architecture is Goclaw Tower, founded for Otto von Bismarck in the late nineteenth century. It is nice example of Romanesque Revival style. Another great tower of Szczecin is one of the Quistorp, founded at the beginning of twentieth century. Szczecin is a great place to spend day when the weather is warm and sunny. There are a lot of green areas, very popular among travelers and citizens. One of those are Chrobry’s Harbor, dedicated to the first king of Poland. It is located by the river, people are making a picnic in there and throw a barbeque parties. If you wish to see great example of French garden, you should take a trip to Jan Kasprowicz’s Park, filled with delightful fountains, benches and other, small architecture. People who are visiting this city during the spring should visit the Rosario Garden. Every year at the end of March, thousands of roses are blooming in there, for couple of weeks. If you like to swim in a canoe you have an opportunity for that in the Valley of Lower Odra, amazing Park, filled with interesting plants. This lovely city is also filled with interesting art and cultural galleries. One of the most important is National Gallery in Szczecin. You will find in there nice exhibitions, dedicated to the Pomeranian and Polish culture. Museum is filled with old paintings, manuscripts, clothes and guns. Very great idea is to visit the Museum of Science and Technology. You will find there old vehicles, bicycles, and even tanks. There is even entire chamber dedicated to the history of Szczecin’s public transportation.